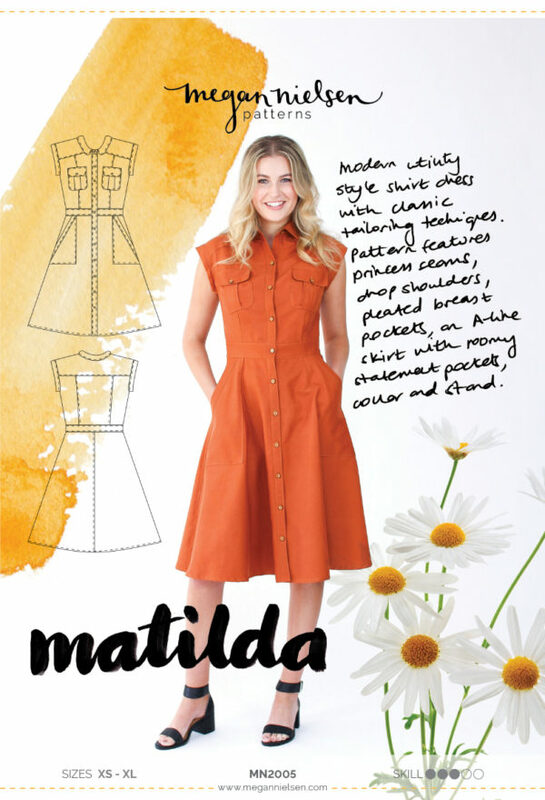 Time to add the sleeve bands to your Matilda dress! 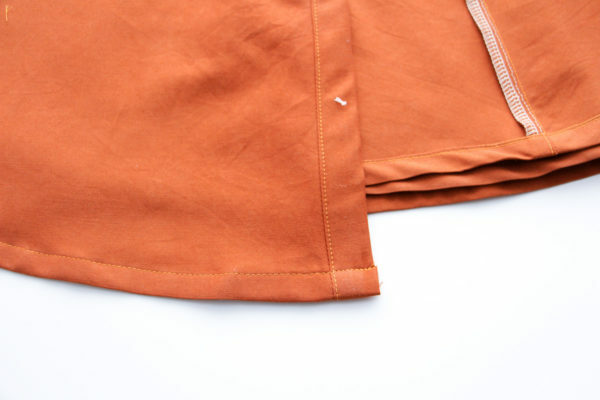 I really love sleeve bands, i find they are just so satisfying to insert, and result in completely different look than a regular sleeve which is nice for a change. 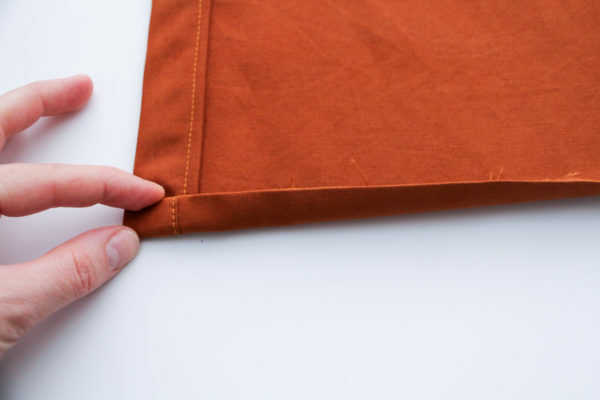 Since inserting your sleeve bands is quite straight forward, i’ll also show you how to hem your dress (also super easy!) 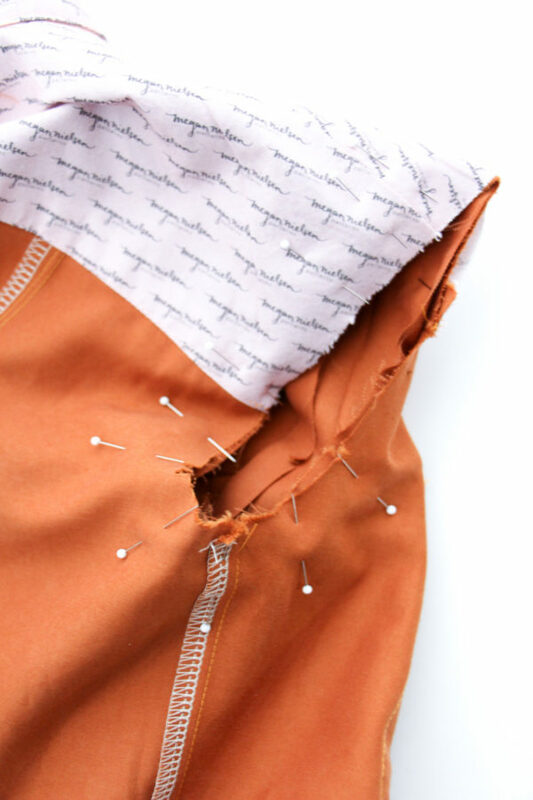 and after that all you need to do is add buttons and button holes and you can wear your dress! I am so excited to finish and wear my dress! 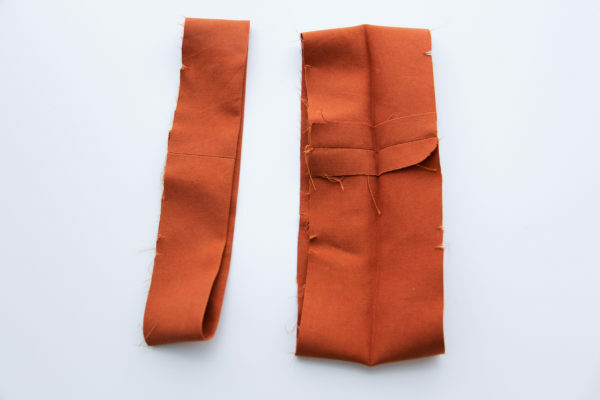 Fold the Sleeve Band  in half with right sides together, and so that the short edges are aligned. 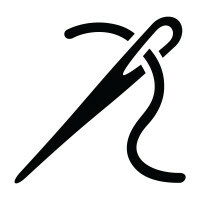 Sew 5/8” (1.5cm) from the raw edge along the short edge. Press the seam open. 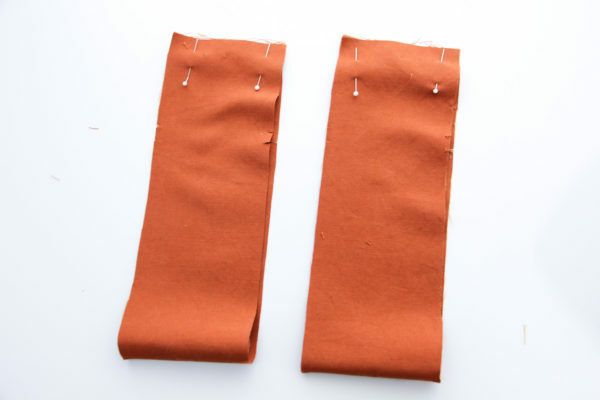 Fold the sleeve bands in half with wrong sides together and press. 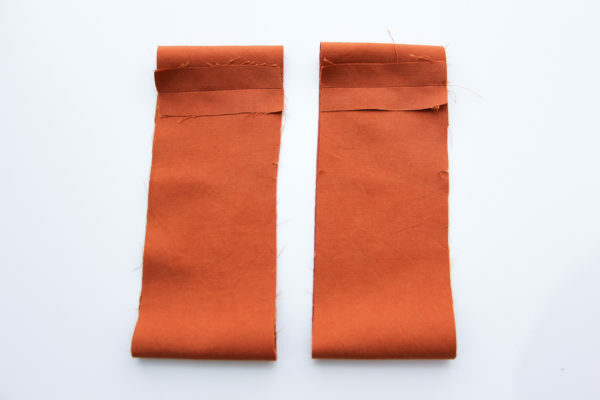 Open the sleeve band and turn in one raw edge by 5/8” (1.5cm) and press. 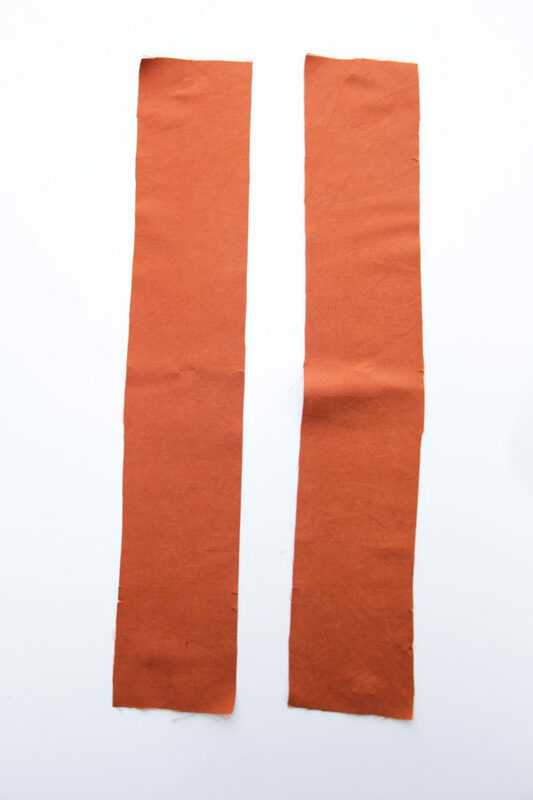 Repeat for the second sleeve band, ensuring that you fold in the opposite raw edge so that your sleeve bands are mirror images like above. 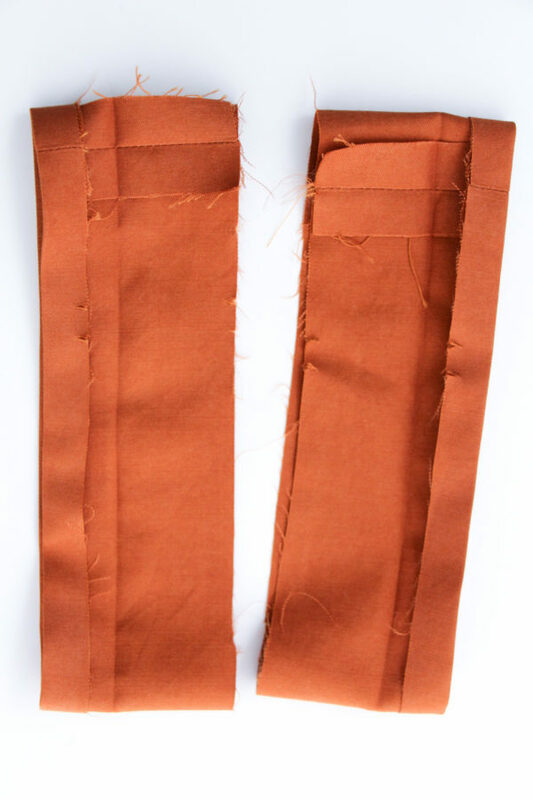 Turn the sleeve bands right side out. Place the sleeve band inside the bodice of the dress with right sides together and so that the notches on the sleeve band line up with the notches on the bodice. 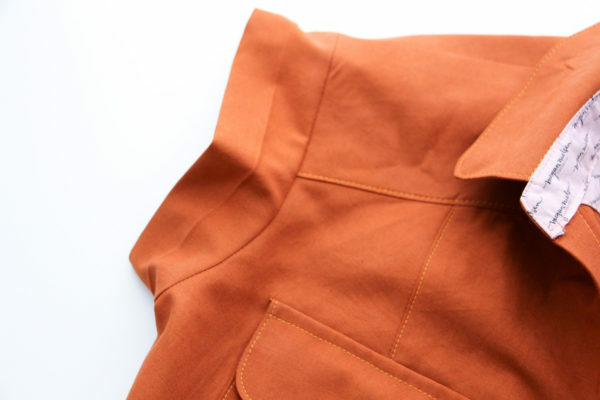 The seam of the sleeve band should line up with the side seam of the bodice. Sew 5/8” (1.5cm) around to attach the sleeve band to the bodice. 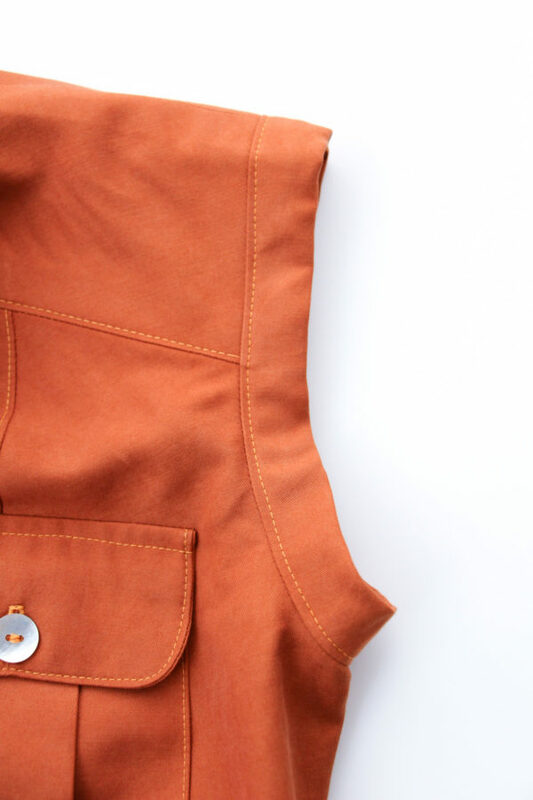 Press the sleeve band away from the bodice. 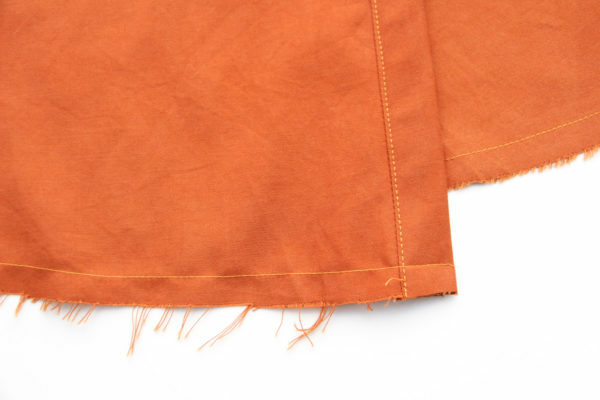 Fold over the raw edges of the sleeve seam, and topstitch or hand sew to enclose. Press. Repeat for the second sleeve band. Sew 1/2” (1.3cm) from the raw edge along the skirt hem. 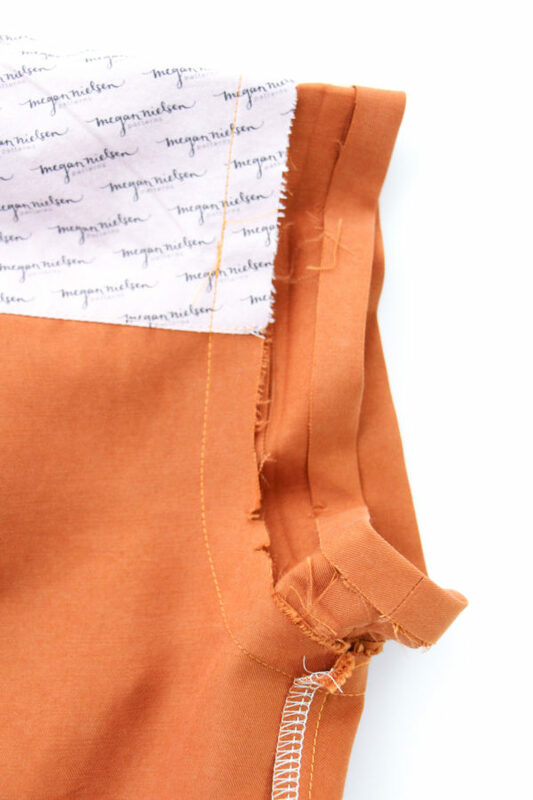 Turn in the hem along this line of stitching and press. 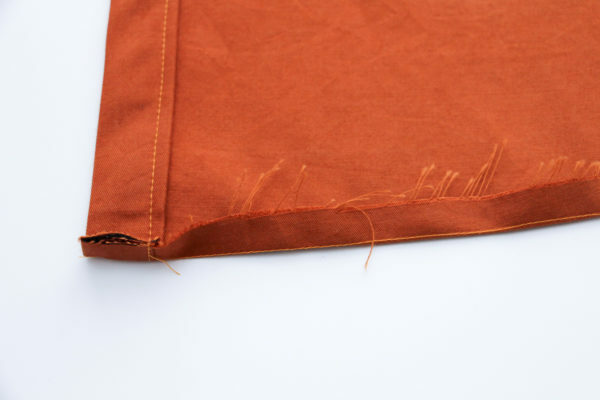 Turn the hem in by 1/2” (1.3cm) once more and topstitch to enclose the raw edges. Press well. Thats almost it my friends – all you need to do now is add your closures and your dress will be done! 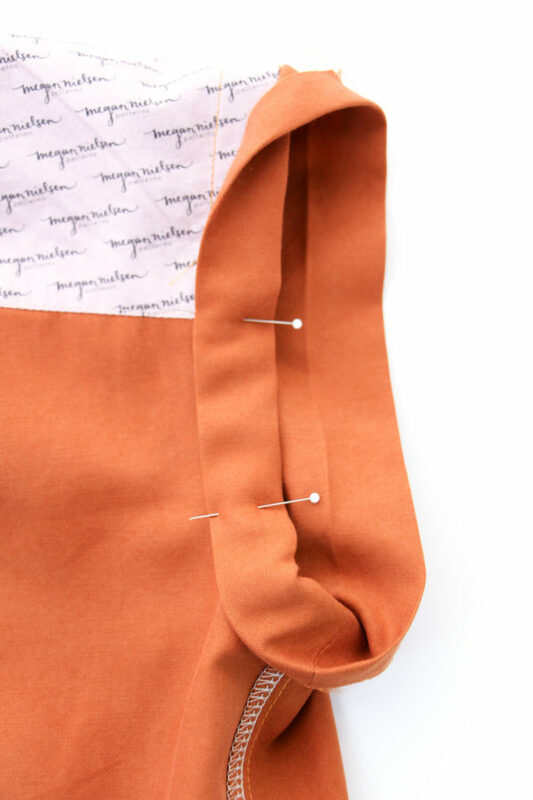 In a few days i’ll be showing you how to sew buttonholes without an automatic buttonhole function, which is useful if you have a machine without an auto function, or if the auto function just ends up with terrible button holes. Love the style of this dress!